I hope you all had a good bank holiday weekend and a brilliant memorial day. 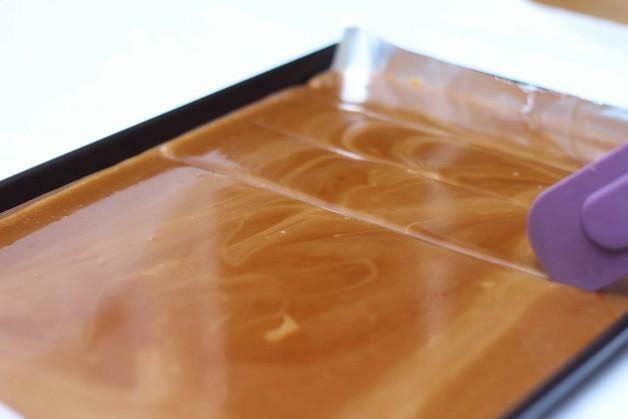 This homemade toffee recipe is so simple and tastes ludicrously good! 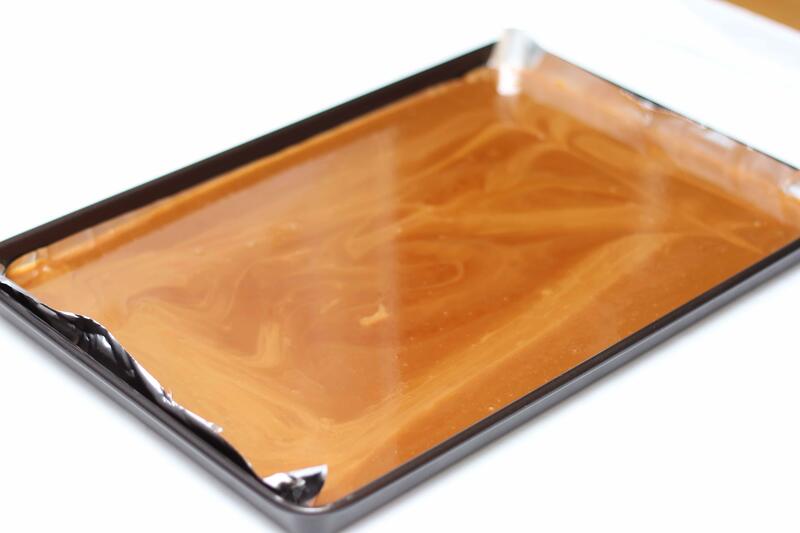 Toffee is great on its own or as an addition to ice cream or covered in chocolate to create a Daim bar/Almond Roca bar and is far cheaper than buying it from a store. 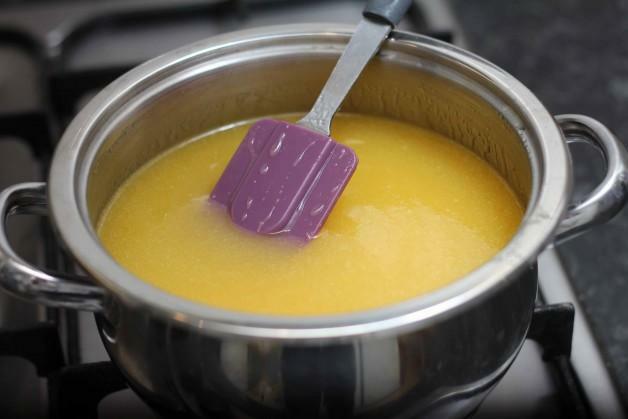 82g (1/4 Cup) Golden syrup – Corn Syrup can be used as an alternative to golden syrup. 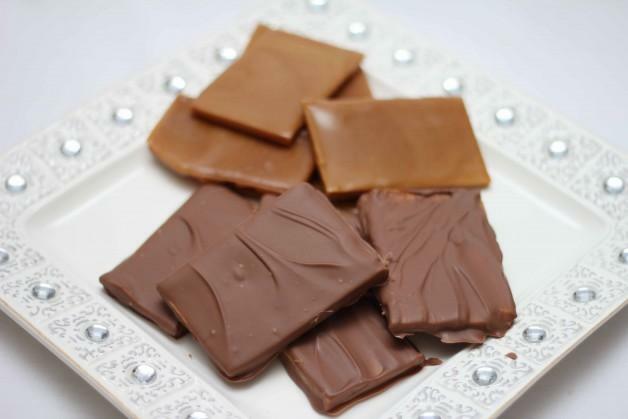 And if you want to cover your toffee with chocolate to make a Daim bar/Almond Roca taste you will need 500g of chocolate. 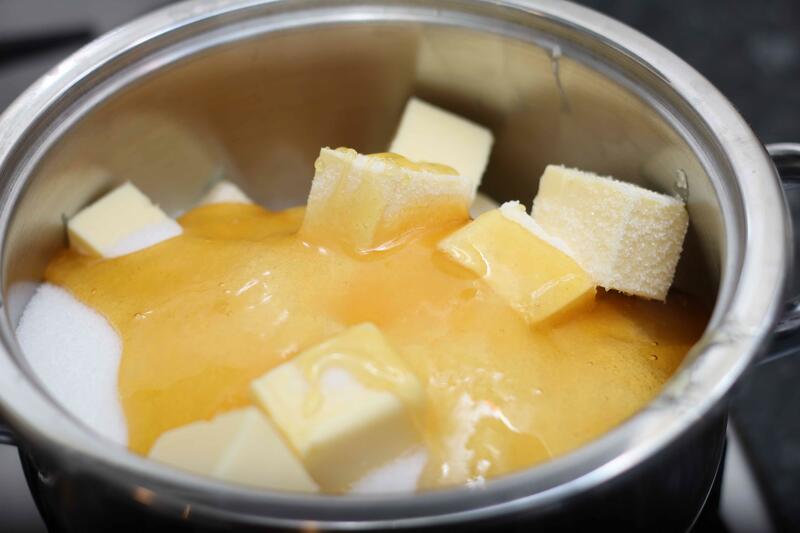 Melt the butter, sugar, water and golden syrup in a large pan (make sure its a large pan as the recipe bubbles) over a medium heat. 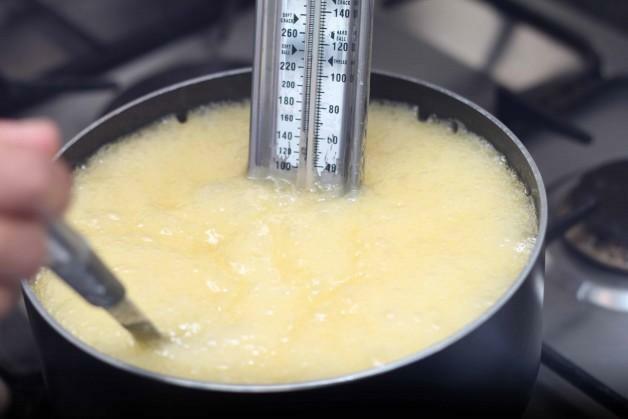 Increase the heat and stir regularly. Using a candy thermometer to check, take it off the heat once it reaches 145°C (300°F). 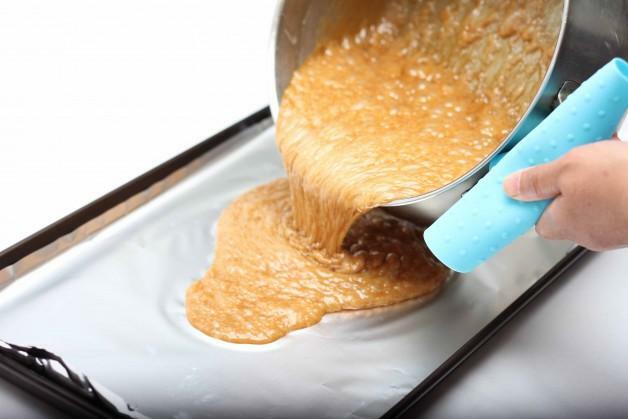 Whilst still boiling pour the mixture onto a baking tray covered with foil. 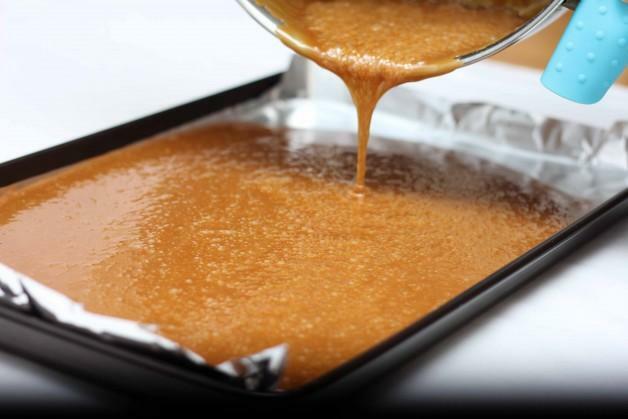 Spread the toffee around the baking tray to an even level. Leave the toffee to cool for 4-5 minutes. 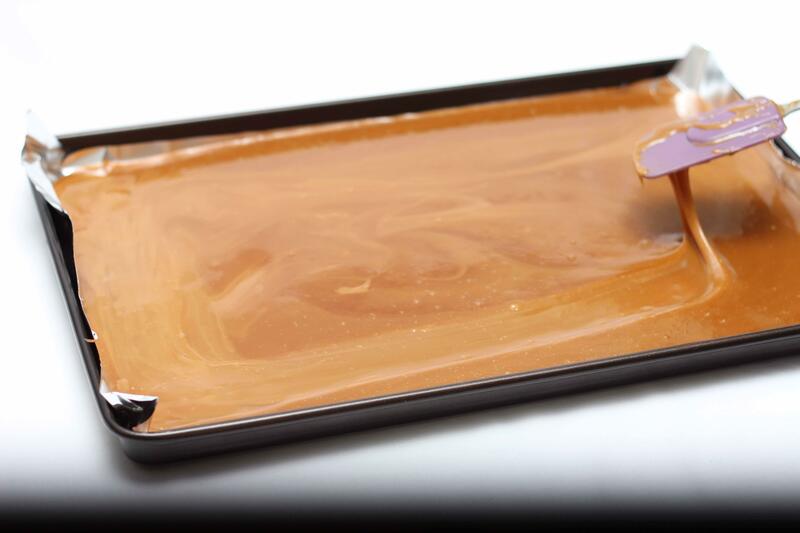 Use your spatula to score the toffee into the size you want your toffee bars to be. 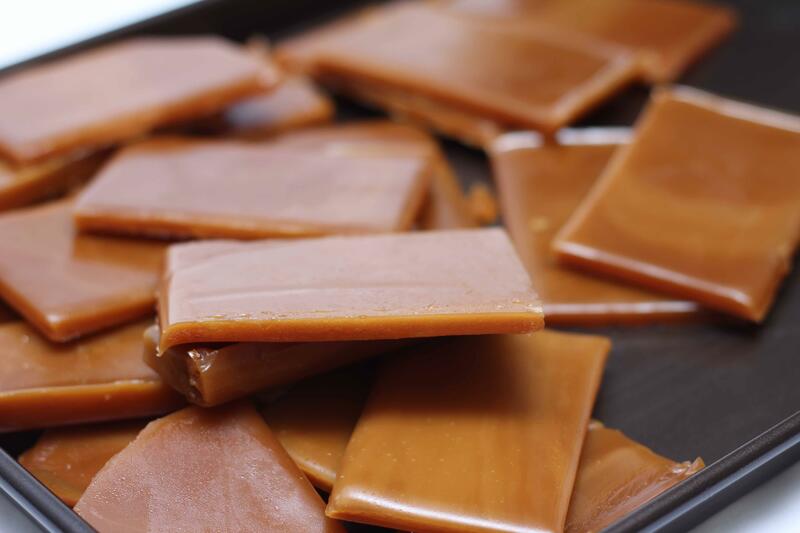 When the toffee is completely cool snap it into pieces along the lines you scored. 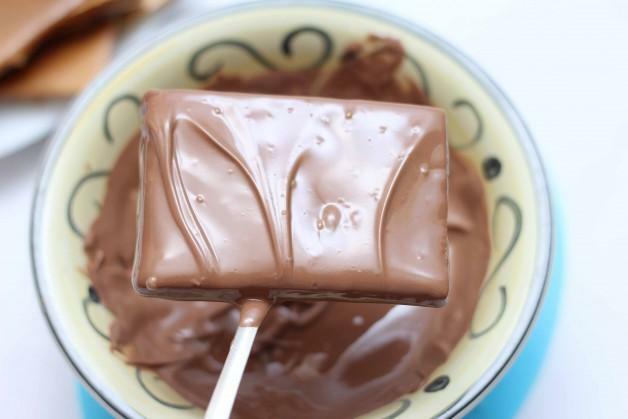 Your toffee is done at this point but if you want to cover it with chocolate just dip it into melted chocolate. Leave a comment telling me how this turned out for you! 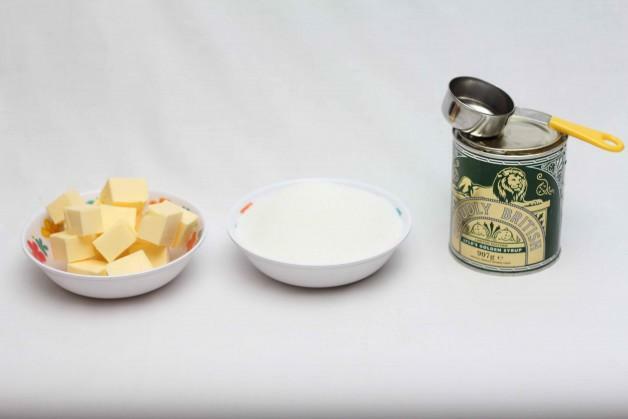 I add a half tsp of mint…comes in a small bottle. 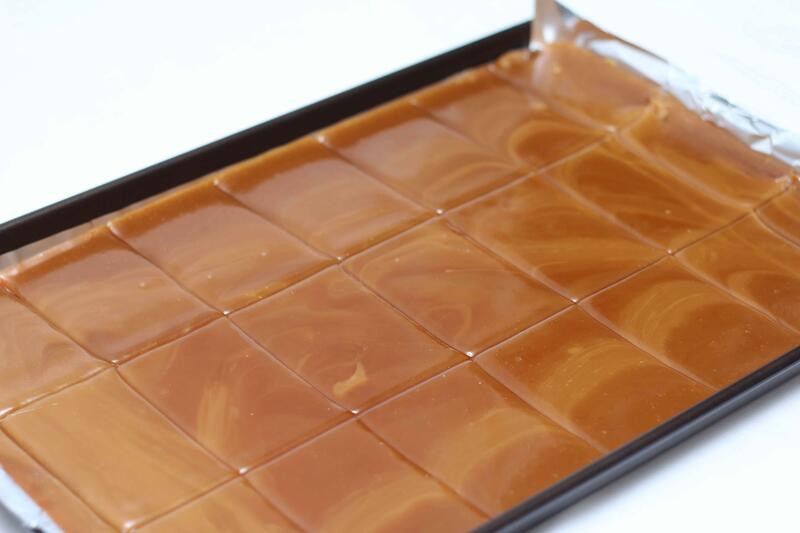 Hey presto…mint toffee! Delicious.